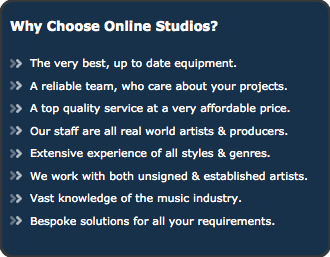 Online Studios was established in 1995 by Rob Pearson as a purpose built recording studios and music production facility. 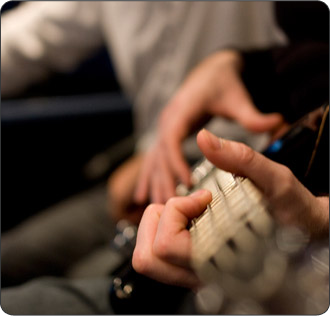 Originally based in London our 2 recording studios successfully operated and traded for 20 years. In 2014 we relocated our studios, label group and publishing company to a brand new headquarters in the beautiful countryside of North Yorkshire and have moved our professional Mixing and Mastering services online with secure upload and delivery of your precious files. We have a new larger studio that fully acoustically treated and air conditioned with natural daylight which now caters for all unattended Mixing and Mastering booked via our website. The new studio is home to all the best of the original Online Studios equipment along with some tasty new upgrades too.